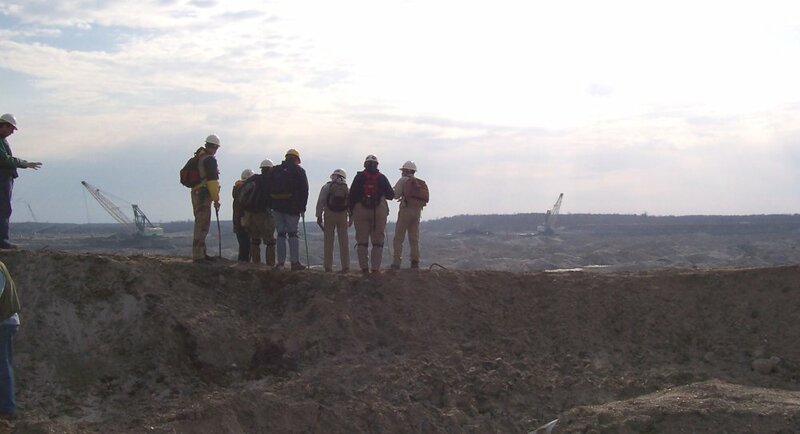 "Fossil guides discussing the collecting area"
This season, we are on the other side of the mine. This picture shows the collecting area from last year. The foreground is part of the collecting area for this season. 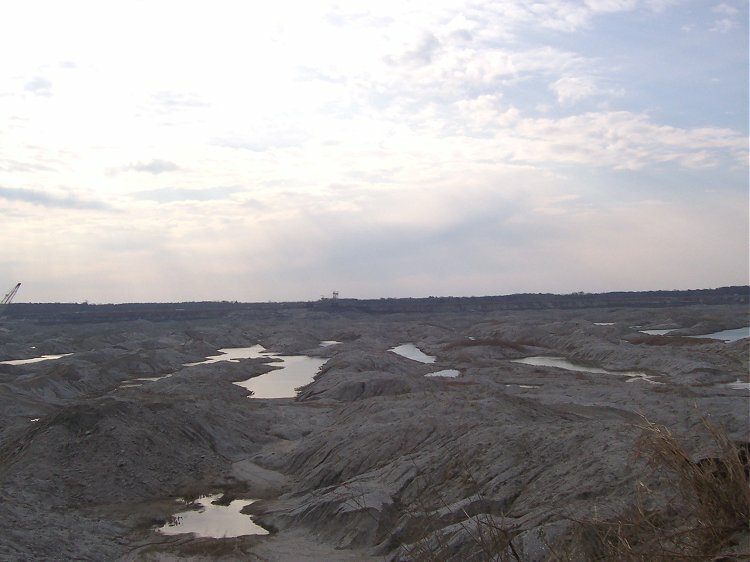 This image shows most of the collecting area for the 2005 spring season. The area is a little small, but hopefully will be extended into decent Yorktown as the season progresses. "Amy about to enter the mine"
Megalodons are probably dancing through her mind as she stands at the edge. She ended up finding a small 1 7/8" C. chubutensis. March 5th was our date for our spring season trip into the mine. The forecast called for Thunderstorms in the afternoon. Luckily none occurred. The sky occasionally looked ominous, but it didn�t even rain while in the mine, and the Sun came out for quite a bit. Anyhow, this season, we are collecting at the other side of the pit that we collected in last season. 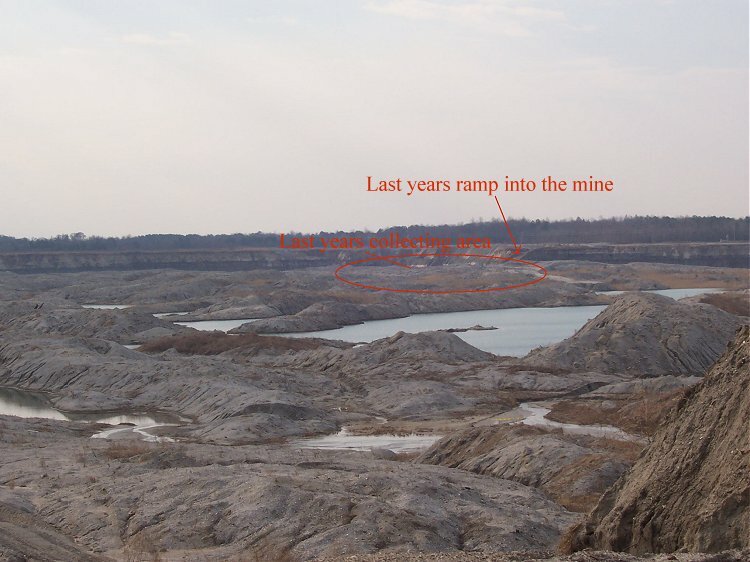 The area is a bit small, but hopefully they will extend it further into the mine as the collecting season progresses. This spot is mostly filled with the James City Formation. 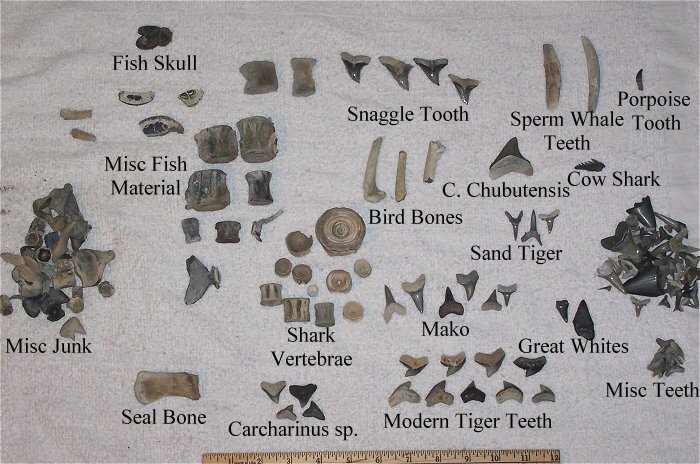 Shark tooth collectors know this is very bad, since most teeth are found in the other formations, the Pungo River and Yorktown Formations. 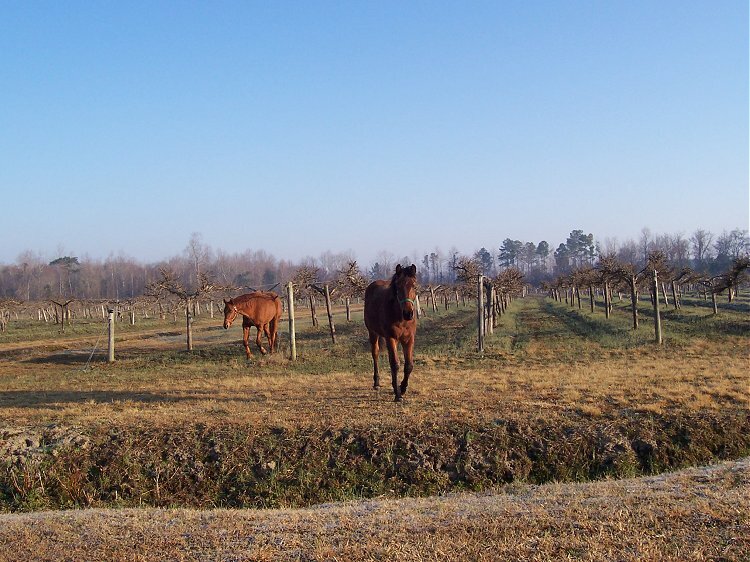 At any rate, we had a good time collecting, Yorktown was very difficult to find, so we spent most of the time in the Pungo River, occasionally wandering into James City. 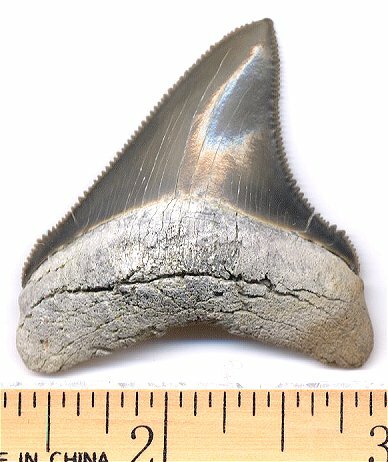 Since there was very little shark producing formations, we found fewer teeth than we anticipated, both in size and in quantity. However, we didn�t let this dampen our spirits. We decided this would be a good opportunity to increase the size of our �bone garden� surrounding our house. So we had fun digging up various whalebone fragments and vertebra; always hoping that a megalodon would pop out in the process of digging up vertebra. Since this place is chalk full of James City, you may want to know what it looks like when you are in it. If you see TONS of coral fragments, bleached white shells, and barnacles, you know you are in James City. If you find yourself here, and want to collect shark teeth, I would suggest looking for another spot. 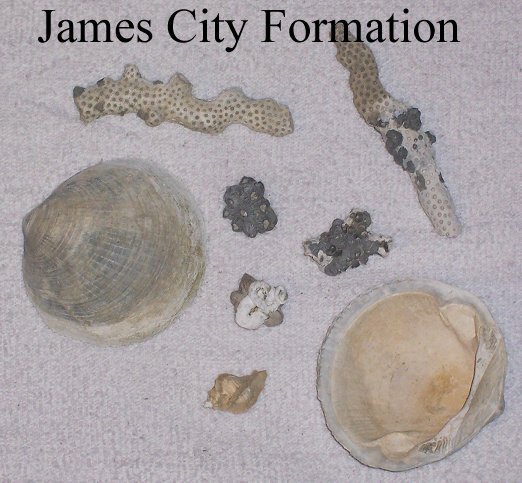 Shark teeth are difficult to come by in the James City Formation. However, Great Whites are found in this formation. (Not the Megalodons, the modern Great Whites). They are fragile, and therefore are often found with their roots broken. 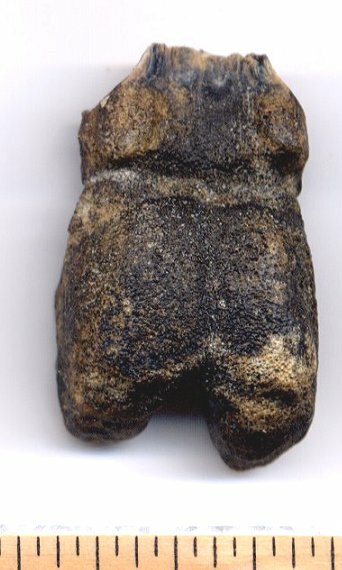 However, with that said, a very nice 4" meg was found in the middle of some James City when we were collecting. Here is our catch of the day. Nothing big. Amy's small C. chubutensis was probably the highlight of the trip. 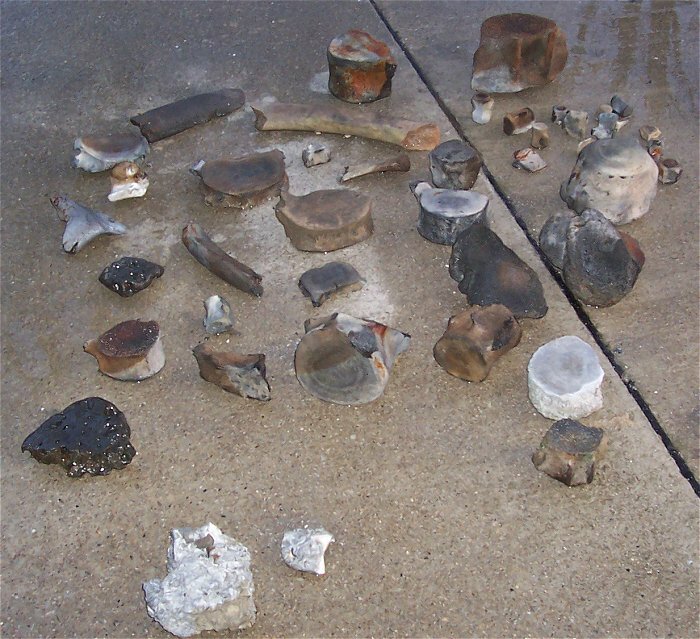 Also notable was the large amount of modern tiger teeth I found, I usually find half the amount per trip. Also, Amy didn't find any. Strange? Also, not shown here, is a nice large whale bulla, a nice Tiger tooth in a chunk of displayable matrix, and porpoise vertebra in a chunk of Pungo limestone with most of its processes still attached. 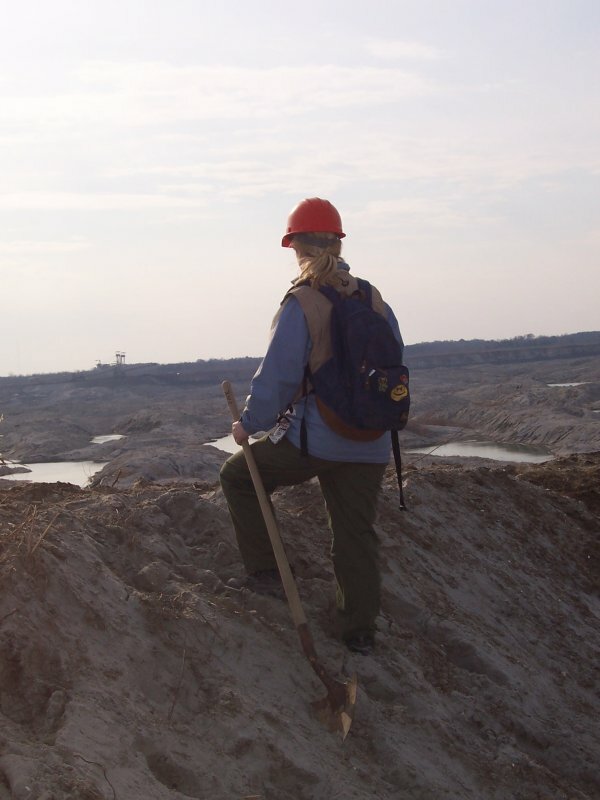 "Bones for the fossil garden"
We also ended up lugging 70 pounds of bones out of the mine. Most will be added to our growing fossil garden. By now many of our neighbors think we are serial killers that deposit the bones of our victims in our yard. 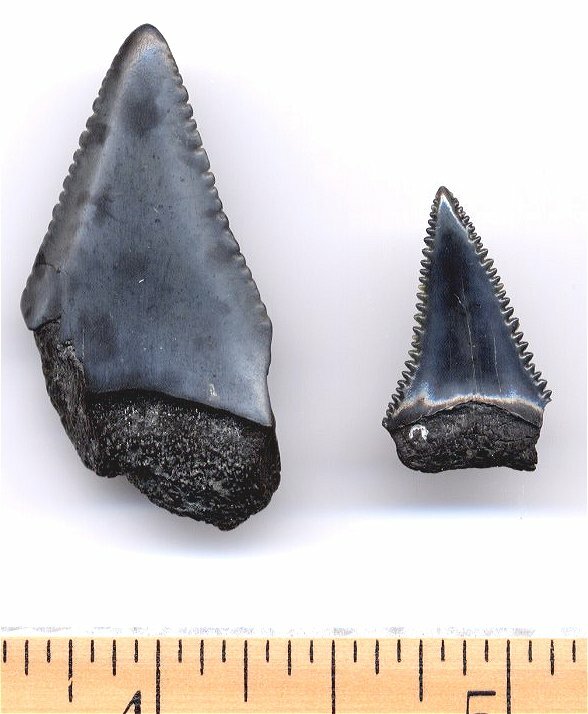 A few will of these will given away, and some will be put in our collection, such as a large chunk of ulna with serrated bite marks in it. A closer pic of the little C. chubutensis Amy found. Since the collecting area is filled with James City, great whites are a bit easier to find this season. Here are two chipped up ones we found. Great whites often are found with the roots broken, since their roots are very thin and fragile. This is a fish skull. When we asked, the guides said it is probably some kind of Robin fish. And, of course, we stayed at our little B&B while down there.